The future of mobility looks bright. But, that doesn’t mean that it’s a smooth road ahead. In fact, businesses embracing mobility continue to grapple with a number of challenges. Most challenges facing mobility management are not technological, but rather human in nature. 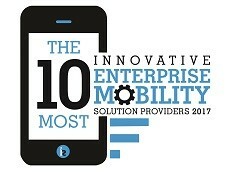 Therefore, businesses continue to face some tough challenges when implementing and managing mobility. Here is a snapshot of these challenges and how companies can thrive in this rapidly evolving landscape. 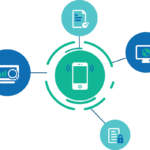 Expense management is one of the biggest hurdles that companies deal with when implementing and managing mobile solutions. The expenses arise predominantly from the cost of the devices, wireless plans, and the human resources required to manage them. To this, the popular solution among businesses is to go for bulk wireless plans, without delving much into the granular details of the services that the carrier offers. Mobile carriers try to push fixed plans which result in under-utilization of the services, which in turn leads to overpayment. There are also many added expenditures related to billing errors, late payment charges, and more. The other side of the problem is that the enterprise IT workload increases significantly when companies implement mobile solutions. The IT department invariably ends up shouldering the responsibility to supervise the sourcing of devices, plans, and the overall management of enterprise mobility. An Enterprise Mobility Management (EMM) provider or Mobility Lifecycle Management (MLM) partner can help companies manage these costs much more effectively. In fact, according to Harvard Business Review, “overall executive confidence in internal IT was very mixed, with only 17 percent of the executives viewing their own IT organization as being extremely capable of executing their company’s digital agenda”. Proper management of the account by a third party will ensure that the organization pays only for the plan that it needs and realizes immense savings every billing cycle. They also free up IT to focus on more mission-critical tasks that have a direct bearing on the competitive advantage of the company. Employees prefer a single device for all their mobility needs, including both personal and professional purposes. This translates into a perpetual security threat to the corporate data stored on those devices. Third party apps with a multitude of access permissions when installed on these devices may extract confidential corporate data. Employee’s device may get stolen, resulting in the compromise of the security of the corporate data. There are endless variety of possibilities as to how sensitive corporate information may land in the hands of people with malicious intent. Strong mobile security policies can create a rather solid foundation for enterprise-wide mobile security. Security management for enterprise mobility can only be ensured through the right security partners and periodic and transparent reporting. 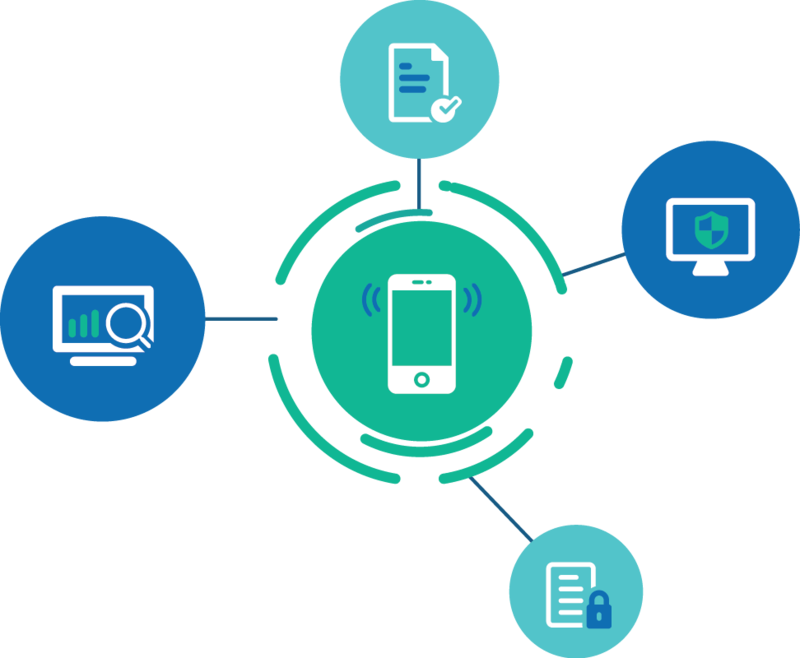 It is essential for the companies to have a Mobile Device Management (MDM) policy in place to prevent any loss or theft of data. But, here is the catch. If companies put a lot of regulations in place, then that might safeguard the data, but pinches away the very flexibility that is at the core of mobility as a concept. Companies find it difficult to strike this fine balance. And EMM/MLM providers, with their extensive experience in this field, can help them achieve just that. Mobility is all about the end user. Companies can realize the benefits of mobility only when the end users, aka the employees are comfortable with it. Therefore, it is vital to train your workforce in taking advantage of enterprise mobility. Companies have to train their staff and have feedback systems in place that gauge the user acceptance, engagement and level of satisfaction with the mobile tools they have been offered. Companies have to ensure open and transparent communication channels through which employees can raise their concerns. Companies should place a strong emphasis on thorough documentation, so that the employees can refer to the regulations and resolve concerns whenever they hit a bump. Documentation is a tedious process. But, even if an organization manages to put the right resources in place, this is only static support. Companies should put in place structures and processes that provide dynamic support to the employees. However, in the real world, effective training and responsive real-time support come with significant cost implications. EMM and MLM providers can help drive down these costs considerably and also deliver better results. Employee performance and mobility solutions depend on the tools used to implement them. In other words, the quality of the apps determines how successful a mobility solution is going to be. However, delivering a fluid, smooth experience on apps is easier said than done. First of all, organizations have to take a call on whether they should develop the apps in-house, outsource it, or rent third-party apps that are already available in the market. Developing the apps in-house is the most expensive choice given that almost 80% of them are abandoned after first use. Then again, renting might be cheaper initially, but it comes with a recurring cost which can add up to be prohibitive in size. If companies are ordering apps from a third-party developer, then there is an implied security risk which the company will need to manage. The benefit of rented apps is that they are already tried and tested, but the downside is that the company has no control over the security aspect of it. EMM and MLM providers can run an analysis to find out the most suitable options for a company and help manage their apps and consequently their employee performance. As mobility becomes a staple across industries, enterprises are identifying the different challenges staring right at them. It is up to them to decide whether they want to invest their limited time and energy into managing these challenges or want to bring in professional help to do it for them. In either case, it is critical that they put the right processes in place in the early stages to tackle these issues. Otherwise, they can snowball quickly and end up taking considerably more time, effort and money in the future.